A company has been fined £100,000 in connection with the death of a 91-year-old woman who fell from a hoist in a West Midlands care home. Leeds-based Bupa Care Homes (CFH Care) Ltd was also ordered to pay £50,000 in costs after admitting breaching the Health and Safety at Work Act. The fine and costs order had been imposed on the company over the death of Irene Evans in February 2007. Mrs Evans was injured at Parklands Court Nursing Home in Bloxwich. The company was sentenced at Wolverhampton Crown Court on Thursday. 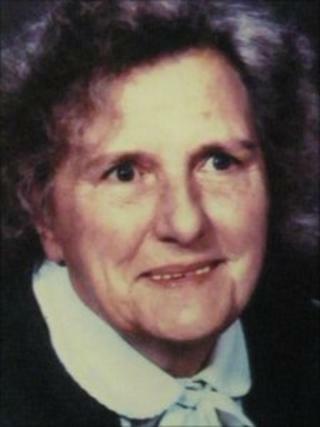 Mrs Evans died in hospital 10 days after suffering head injuries when she fell from a hoist while being moved at the nursing home near Walsall on 31 January 2007. A Health and Safety Executive (HSE) investigation into the incident found that sling loop fixings attached to the hoist were wrongly adjusted and a safety pommel had not been used. Speaking after the hearing, HSE inspector Amy Kalay said: "Mrs Evans's death was a wholly preventable tragedy caused by unacceptable management failings on the part of Bupa. "Managers of the nursing home failed to make an adequate assessment of the manual handling requirements for this elderly lady who was in their care. "In particular, they did not give the carers sufficient information, instruction or training on how to use the sling properly. "Working in a care home is a specialised job, which involves dealing with vulnerable people. Care homes must ensure that they have the correct training in place for all their employees." In a joint statement issued after the hearing, Mrs Evans' daughter Ann Webster, June Barlow and Gillian Rollinson, said: "For all the family, the past four years have been a roller-coaster ride. "Coming to terms with the senseless way mum died and then continuous reminders have made what happened very difficult."